Online Courses Learn at your pace from the comfort of your home... & your pajamas. 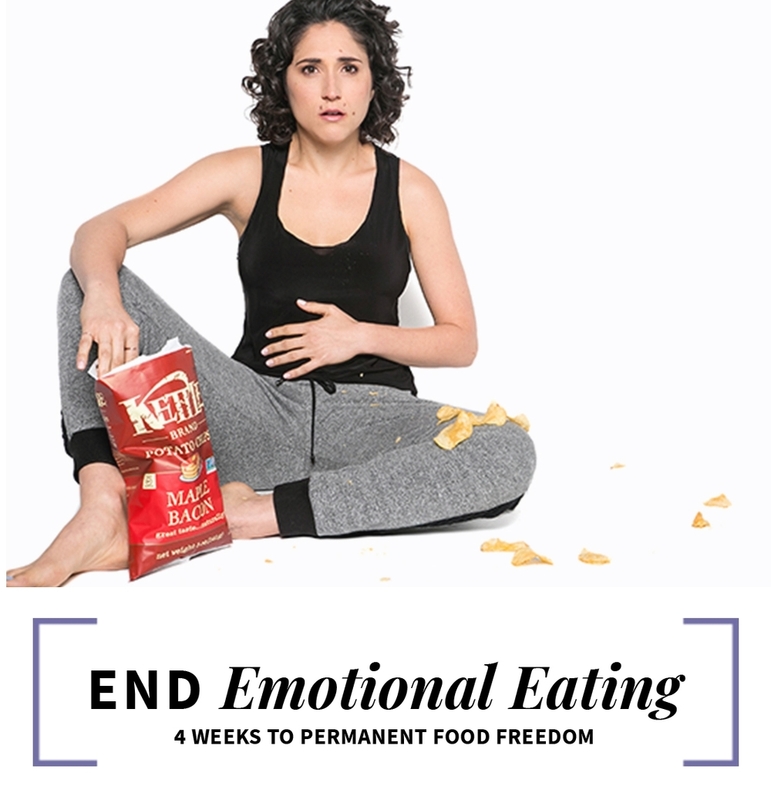 This immersive 4-week online program helps you to erase old thought patterns and free yourself from the food prison of dieting - all while losing weight and feeling great. This is a course which allows you to dive into the essence of what conscious eating means as well as connecting to your inner guide and making eating decisions from a deeper and more loving place. That's it. No long emails (I hate those). No feeling behind or pressured. No Facebook Group where one person is posting every five minutes. You can do this on your own time, at your own pace. The content of this program is yours forever. Holiday amnesia. We all have it. We go into the season with the best of eating intentions. We want to look good in all of those family photos. We want once and for all to tell those new year resolutions to go screw off! So what happens? One holiday party in and we come down with amnesia. We fall right into old traps and bad behaviors and before we know it we are wearing spanx under our fat jeans and wondering when exactly it was that we stopped caring. This year I won’t stand for it. You won’t stand for it. Enough is enough! 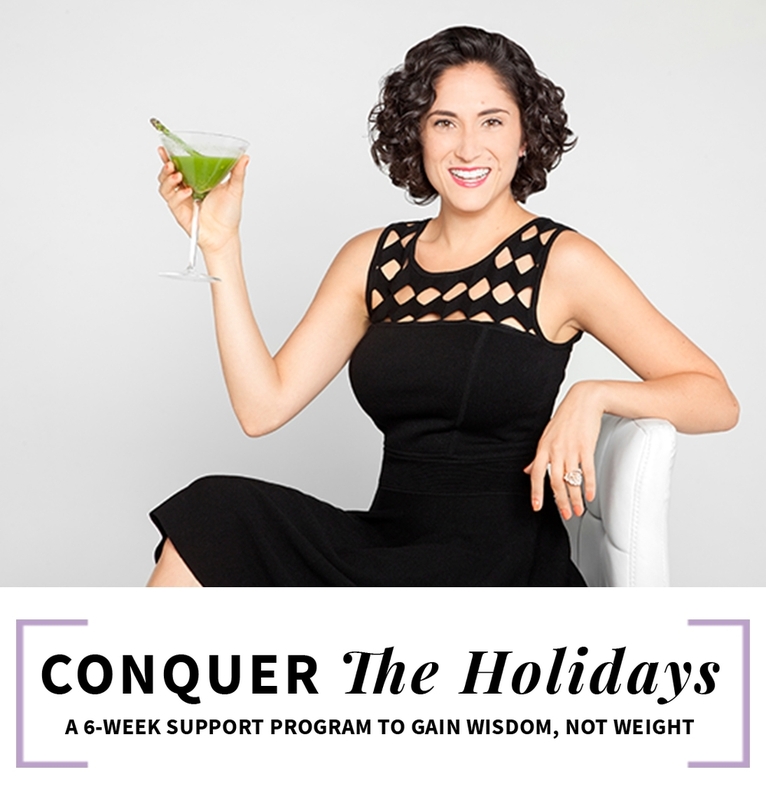 If you want to truly enjoy the holidays for the first time in your life (and by “truly” I mean enjoy your family AND feel great too) then join me as we conquer these holidays together! Uncover the truth to what’s blocking your health goals. Maximize your effort. Get permanent results. Live in the body you deserve. Get one-on-one coaching from Carly's team of experts!